Adventure never ends in a Delhi Metro. From people in a constant hurry to board the metro, pushing, stepping on your feet, to rushing for seats, taking you and yours bags along, you’ll see it all. Rajat Chauhan, a Delhi-based stand-up comedian, an engineer by education, carries sharp observational skills. Thanks to his skills, his daily ritual of travelling in the Delhi Metro is made a little more interesting. If he has some spare time after keenly observing the commuters, he likes to stare at Hanuman Ji statue at Jhandewalan. Being an erstwhile Delhi metro commuter, he feels compelled to share about the adventure inducers in the train, the sea of people you have to deal with on the platforms and the experience of taking an e-rickshaw. 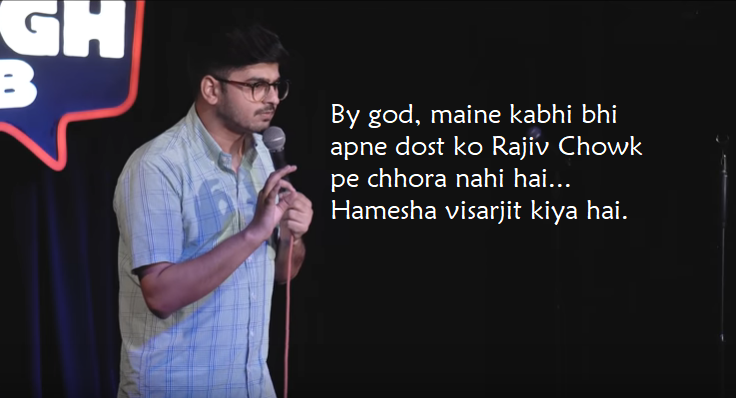 A true blue Delhiite can swear by Rajat Chauhan’s every word. See for yourself!